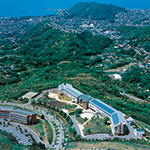 Department of Physiological Sciences, School of Life Science, The Graduate University for Advanced Studies (SOKENDAI) is based on NIPS. All the professors, associate professors and assistant professors who belongs NIPS engage in this graduate school education. NIPS is an inter-university research institute which owns the best state-of-the-art facilities, therefore our graduate school program is providing the research and education using these facilities.